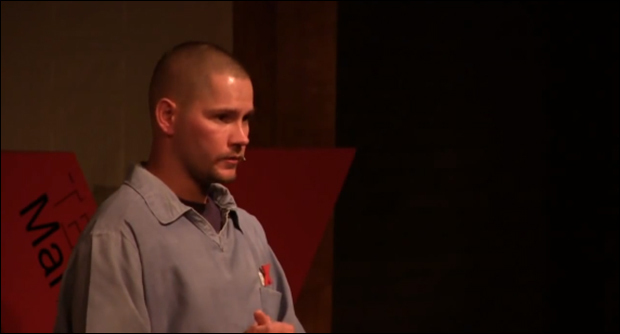 In an October video posted of a TEDx correctional facility talk, Army veteran Andrew “Sarge” Chambers gave a heartfelt account of his difficult transition to civilian life after the events of 9/11 convinced him to march to war. Chambers, who is from Pickerington, Ohio, depicted one memory in which he awoke to a chaotic battle scene and gunfire, and remembered being astonished to hear someone laughing through it. Following his first tour, Chambers says the Army asked for volunteers to stay for an additional length of time, for which he says he volunteered as he was not married and did not have children. Chambers recalled losing seven fellow soldiers during his second tour, in which he and others would find and neutralize roadside IEDs. He says when he returned to the United States, the stress of combat had left him on edge. Chambers recollected seeking help from the Veterans Administration and being prescribed a sleep aid, but says the medication did little to quell his inner rage. Iraqi war veteran Andrew “Sarge” Chambers. The veteran’s story shines light on why many enlistees contemplate and commit suicide as an alternative to coping with pent-up, carefully-stoked rage. It also shows how the establishment casts the mental health needs of returning veterans by the wayside, and deems soldiers threats once their honed warrior instincts surface.